How to Become a Forensic Scientist? What are the duties of a Forensic Scientist? Forensic Science has become an important aspect of the criminal justice system in the recent years. Thanks to advancements in technology, the field has grown in numbers and in importance. Forensic scientists uncover details related to criminal, civil and regulatory methods. They work as a part of the investigative team and are usually required to collaborate with other members of different law enforcement agencies. This is not an exhaustive list of specializations and forensic science careers. In most cases, aspiring forensic scientists will need at least a bachelor’s degree to be eligible for entry level positions in the industry. You may go for a bachelor’s degree in any natural science, such as chemistry or biology, with a concentration in forensic science, or you can simply major in forensic science itself. Even though a lot of people in the field don’t pursue another degree after completing their bachelor’s degree and instead use their job experience to advance in the field, many employers have shown preference to hiring those who hold a master’s degree in forensic science. Once enrolled in a degree program, students would be required to select the area they intend to specialize in. For instance, if you want to work largely with latent prints or ballistics, you will be required to take elective courses that focus on these areas. Students who want to go for positions that require higher degrees, such as a forensic psychologist, should begin preparing for their graduate degree. This step is for those whose career goals have graduate degrees in forensic science as the requirement. Bear in mind though, that there will not be a forensic science degree at the doctorate level – you will need to pursue a degree in a broader field such as psychology, with a focus on forensic science. Many concentrations within the field of forensic science would require you to complete several months or even years of training before beginning to work in the profession. These requirements would depend on the education and career path you choose. In addition to degree related training requirements, you would be required to engage in on-the-job training, before you are allowed to individually take on cases. You will be given hands-on training and instructions regarding the exact operations of your new workplace and how you are expected to contribute. This training might last a year or more in most cases. 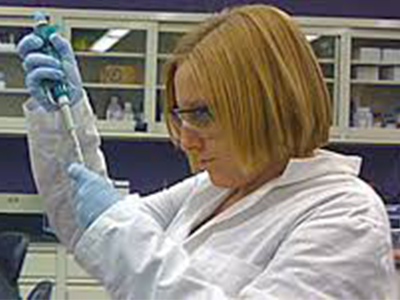 Some states or localities might encourage forensic scientists to get specialty certifications. Even though these are not necessary to becoming a forensic scientist, they can certainly be helpful in career advancement and promotions opportunities. According to the US Bureau of Labor Statistics, Forensic Science Technicians earned a median annual income of $57,850 in 2017. The job outlook for this occupation is quite bright, with growth expected to be 17%, which is much higher than the industry average. A lot of new jobs are expected to be added in the years between 2016 and 2026, so now would be a great time to plan a career in forensic science.